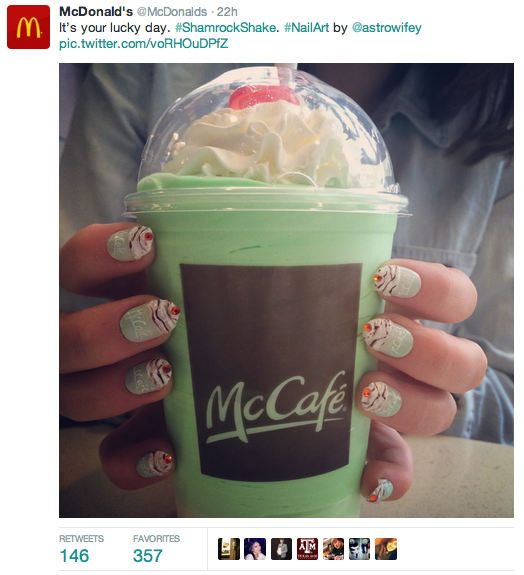 I worked with McDonald’s Twitter to create a Shamrock Shake manicure at their offices a couple of days ago. Find the original tweet by following @McDonalds on Twitter. 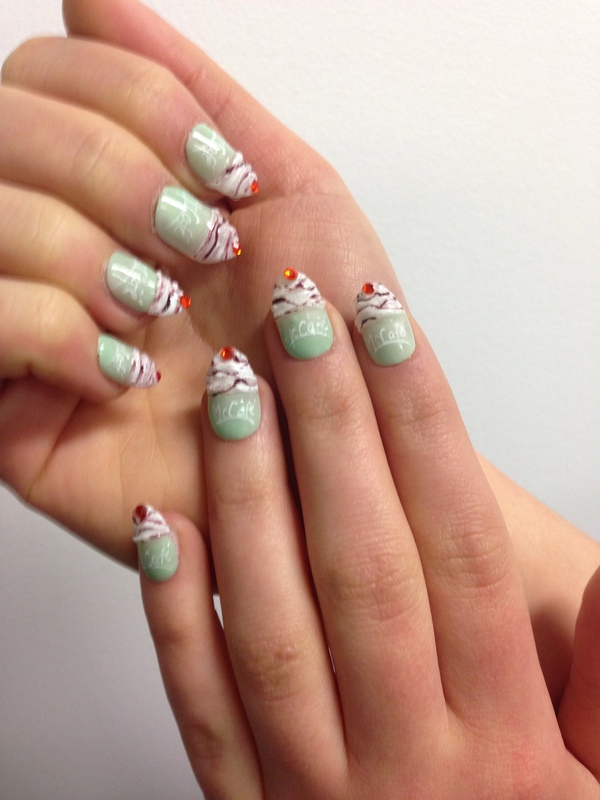 “Who’s Lovin’ It”? Click below to see additional photos.